New Website Launch – Love it Love it Love it! 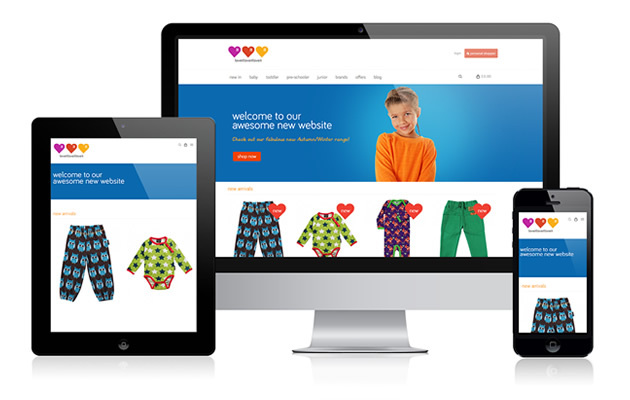 We’ve recently launched a new responsive e-commerce website for Love it Love it Love it, an exciting online clothing business focused around sourcing ethical, funky and unisex products. We’ve thoroughly enjoyed working with Love it’s owner, Ruth Lopardo to design and develop a website that is representative of her brand and company ethos. The new site is all about promoting the products with clear usability and strong product imagery. Along with being fully responsive, catering for all devices the new site’s e-commerce is powered using WooCommerce, a powerful and flexible online shopping platform. WooCommerce integrates with WordPress to provide users with a familiar environment from which to manage their online shop. You can read more about the features and benefits of WooCommerce here. We are currently working on a number of WooCommerce projects for clients and gaining experience with integrating great online shop design with a feature-rich technical and logistical e-commerce engine. If you’re thinking about redesigning or developing a new e-commerce website then we’d love to discuss the benefits of WooCommerce with you at your convenience. Why not get in touch?